They’re the mightiest super-team in history – and now they’ve got the T-shirt to prove it! The Leopard from Lime Street, Steel Commando, Dr. Sin, Pete's Pocket Army, Blake Edmonds, Yao and Thunderbolt the Avenger are THE VIGILANT! 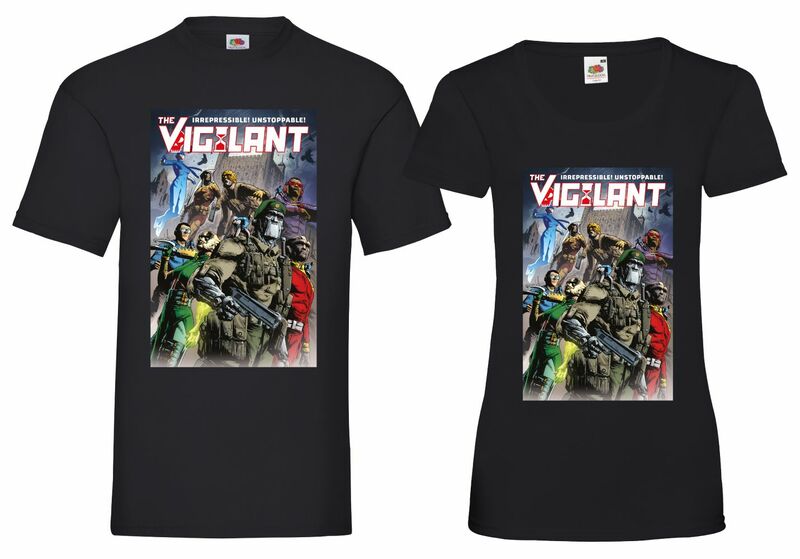 This T-shirt features Simon Coleby’s stunning cover art from the team’s first ever issue!